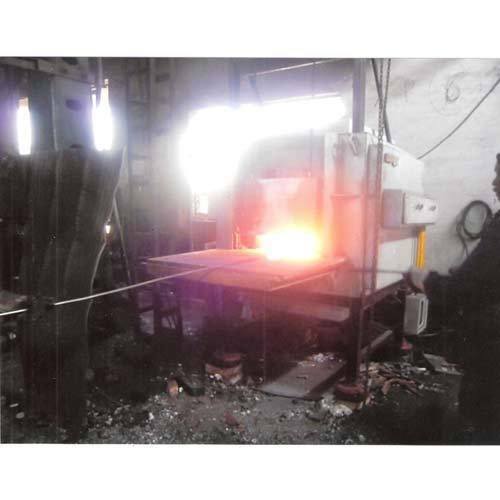 We strive to design and develop a precision-engineered range of Batch Forge Furnace. Manufactured using high-grade raw material, these furnaces can withstand high temperatures with non-metallic heating elements. Catering to the industry requirements of precision engineered equipment, we Meta Therm Furnace Pvt. Ltd., offer to our clients our expertise in the field of manufacturing and exporteing a wide range of Equipment and Machinery Products, which meet the needs of aluminium, non ferrous, chemical, electrical motor & transformer, automobile industry, ceramic industry, glass and other allied industries. Our products range includes Tray Oven, Trolley Type Ovens, Drying Oven, Conveyor Ovens, Muffle Type Furnaces, Muffle Furnaces, Bell Furnaces, Crucible Melting Furnaces, Continuous Strand Wire Annealing Furnaces, Temperature Control Panel, Furnace Control Panel, Concrete Mixer and Pan Mixer. Our rich production experience and focus on achieving optimum product engineering and manufacturing processes allow us to meet the specific work process demands of our global clients. With our expertise for meeting the customized demands of our clients and prompt, efficient backup of after sales services, the range offered by us include electric, oil and gas furnace, oven & construction machinery and many more.